Antoine Griezmann’s release clause was raised in the summer to fend off interest from other clubs, but now, it has reportedly dropped down to €100 million again. When the Court of Arbitration for Sport in Spain decided to uphold the transfer ban on Atletico Madrid, the club feared that their star attacker will leave without allowing the club to replace him. However, the French international showed great loyalty to reject Manchester United and sign a new contract with his club in a difficult situation. Manchester United were ready to trigger the €100 million buy-out clause to sign Griezmann, but Griezmann opted to stay with Atletico. He even signed a new contract which raised his buy-out clause to €200 million to keep interested clubs away during the transfer window. However, now that the summer market is closed, the release clause in the striker’s contract has again dropped back to €100 million due to an agreement at the time of extension. The player has a contract to run up to 2022, but now that his release clause has dropped, it is probable that the player will leave for a new club in the near future. 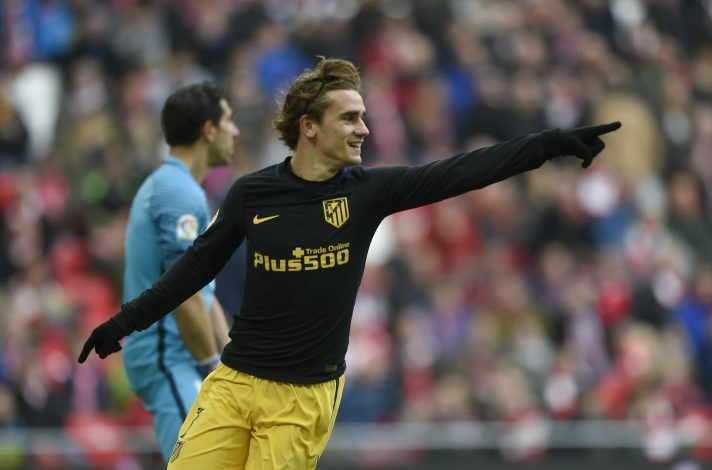 It is believed that Jose Mourinho will come back to sign Griezmann next summer, and the player has even expressed his interest in joining Manchester United. The Frenchman entertains a great friendship with fellow compatriot Paul Pogba at United, and this relationship could prove to be decisive for a possible transfer.